It's Tuesday so it's Inspiration day over a STAMPlorations. 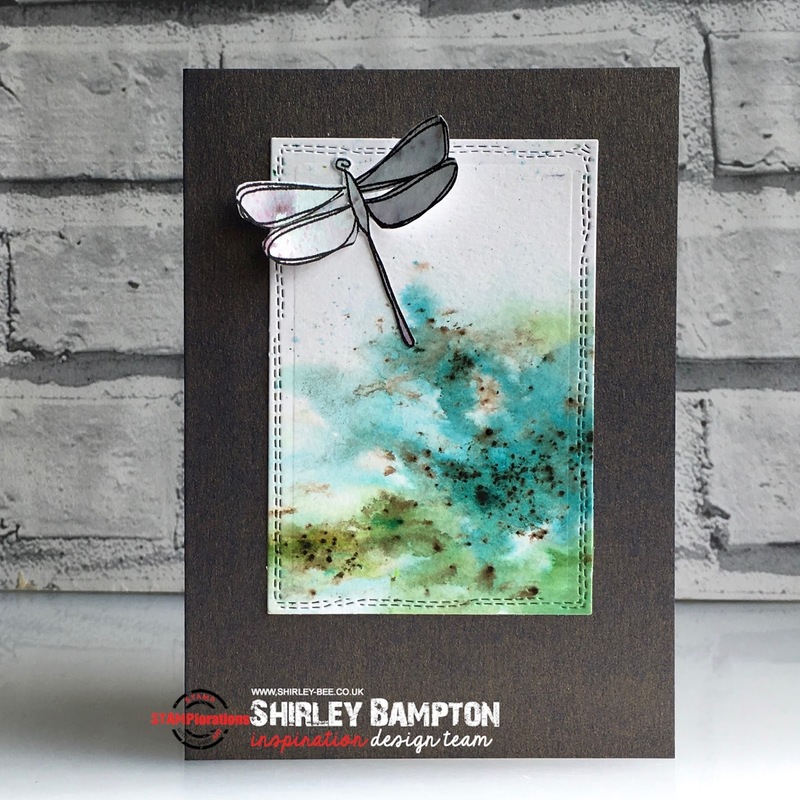 I've been playing with my newest obsession, PaperArtsy Infusions, which are very similar to Brusho powders, except that they also contain walnut stain crystals that dissolve at a slower rate than the colours. I ended up with several sheets, so I diecut one of them using the CUTplorations Crazy Stitched Rectangles, stamped and fussy cut a dragonfly from The Bee's Knees Winged Things, from another sheet, and mounted them onto two-tone card which is blue with a gold sheen, difficult to capture on camera. 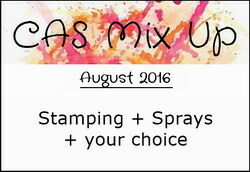 I'm entering my card into CAS Mix Up where this month's theme is Stamping + Sprays + Your Choice (die cuts). Wow! This is stunning! I love the colors and how they 'pop' with the wide black border! Nice dragon fly too! Another beautiful background using your delightful dragonfly, Shirley! Love these colors and how they've blended! Thanks so much for sharing this with us at CAS Mix Up!